The Office of Alumni and Parent Relations looks forward to interacting and communicating with you over your student’s time with us. The goal of the Alumni and Parent Relations Office is to keep the lines of communication open between parents and the College community. 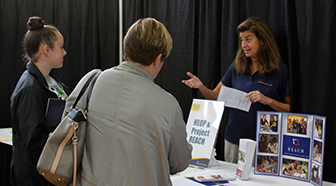 Join us for Family Weekend or attend an event in your region. 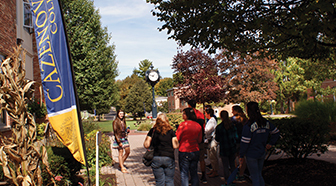 Stay connected with us while your student builds his/her future here at Cazenovia College. This one-stop web page provides parents with links to a variety of academic and campus resources, as well as access to helpful College information. Fill out the Parent Information Form to stay informed about what’s happening on campus.